Our Lakeview Chalet has a view of Dempsey Lake (Virgin Lake) on a 1 acre very private and quiet dead end road. Calabogie is a small village in the Ottawa Valley of Eastern Ontario, Canada. All our Chalets are non-smoking. We rent to families and responsible adults. We do not rent to groups of singles under the age of 30. 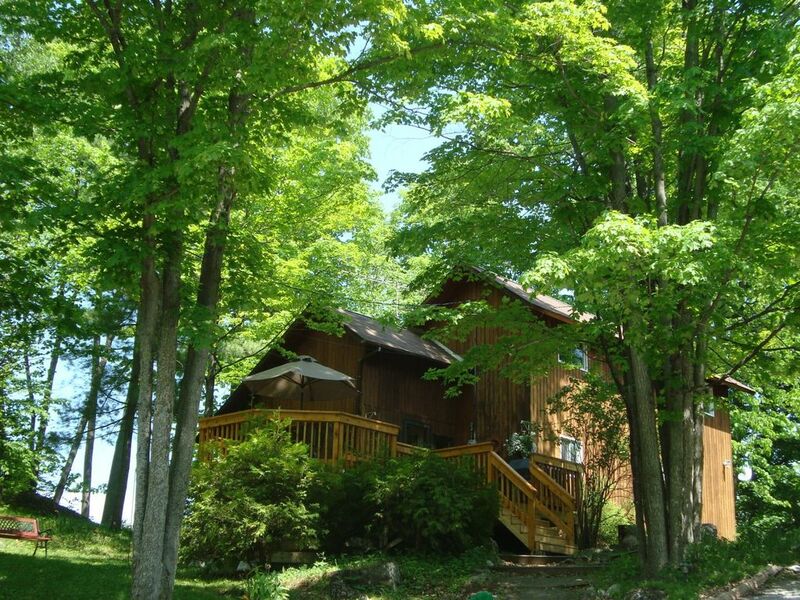 Our Calabogie cottage accommodations are available for rent year round. The cottage is fully insured commercially. Our Lakeview Chalet has a view of Dempsey Lake (Virgin Lake) on a 1 acre very private and quiet dead end road. Virgin Lake is very private cottage locked lake with no access to public thus a very tranquil lake with boats no larger than 9.5 HP allowed. We are 10 minutes to Calabogie Peaks Ski Resort, Calabogie Lake & 5 minutes (5 Km) from Calabogie Motor Sports Track. Cottage Rental guests supply their own linen, towels, food and personal items. No maid service is provided.